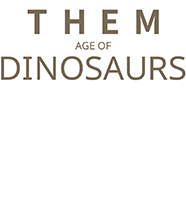 “THEM: Age of Dinosaurs - A Science Art World by ZHAO Chuang and YANG Yang” is a themed exhibition based on works by the two founders of PNSO and produced by Yiniao Sci-Art. This is a profound dialogue between science artist ZHAO Chuang and science fairy tale writer YANG Yang about the world 66 million years ago. They respectively use illustrations and words to record this dialogue. No one has ever made us feel like we have been so vividly transported back to a peculiar life that existed 66 million years ago, when dinosaurs dominated the world. It will make all of your pores feel their perspective, their emotions, and their inhabitants. This exhibition is the perfect combination of art and science. It will make us respect and admire an ancient time that we have never seen before.